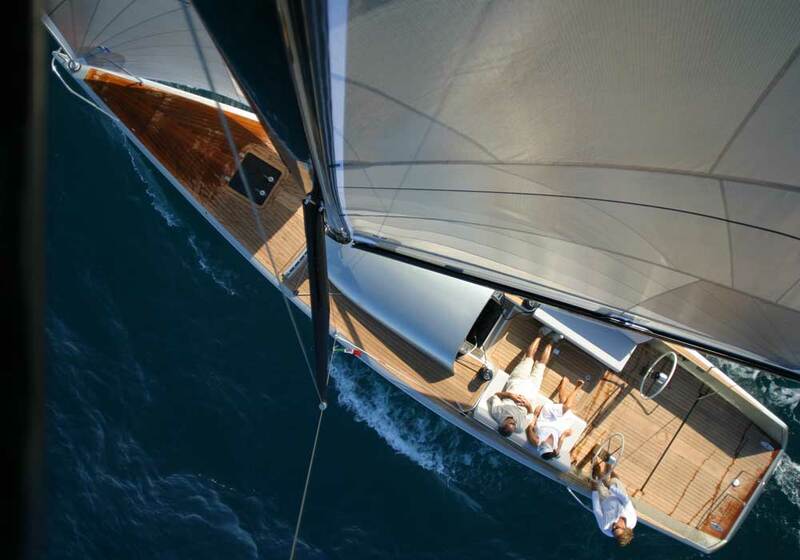 It has been a long research work devoted to design yachts that are excellent, both in terms of pure sailing and guests’ comfort. 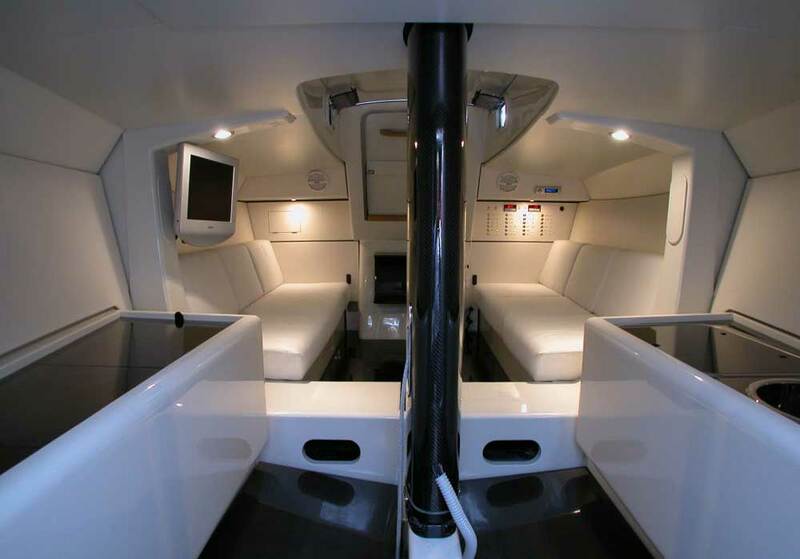 Innovative design, which means wide cockpits and interiors at the top level of customization. 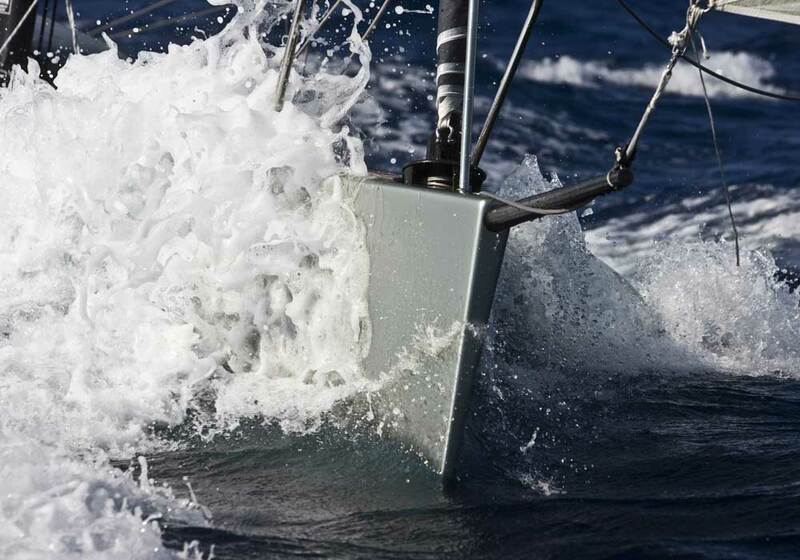 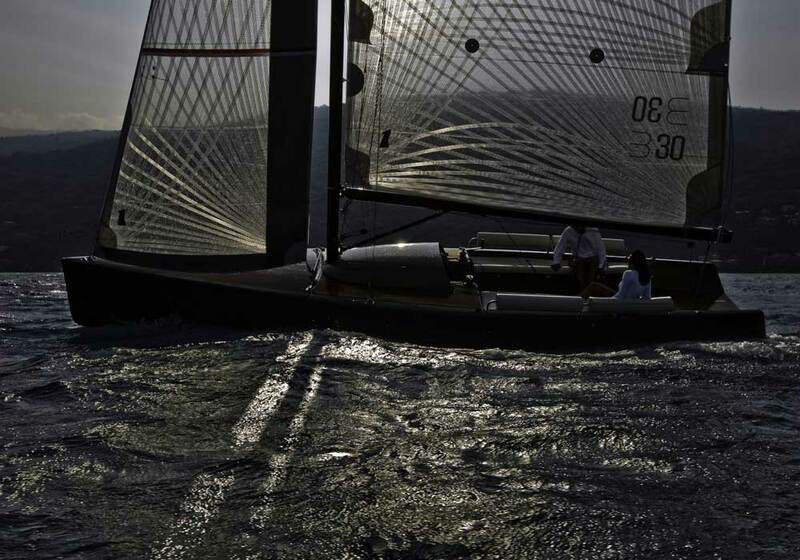 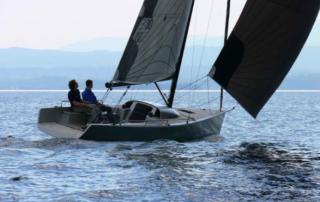 Sailing performances come from low free boards and carbon masts. 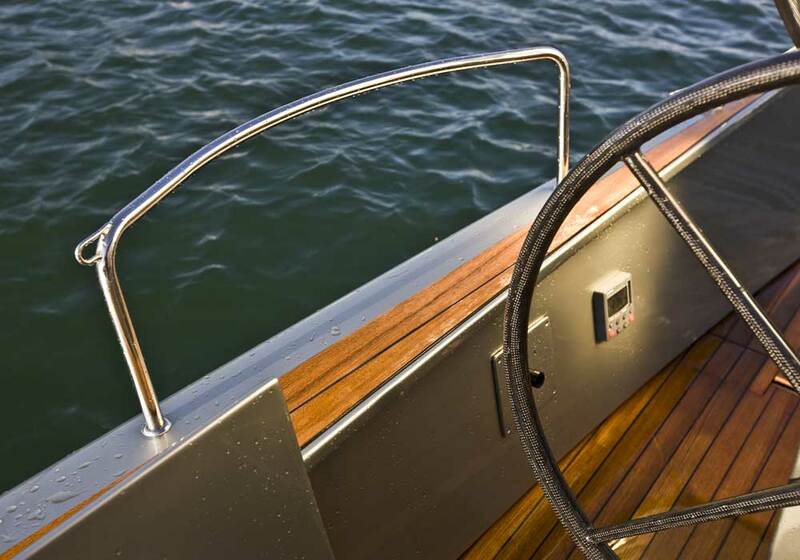 The features of a top technological content naval architecture are transferred to the maneuvering systems – hydraulic or electric, where the Owner-helmsman has a full and easy control of his boat, offering to his guests and elegant comfort and… speed! 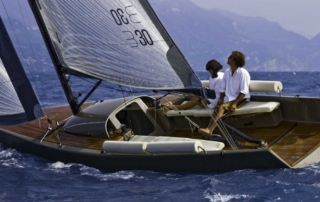 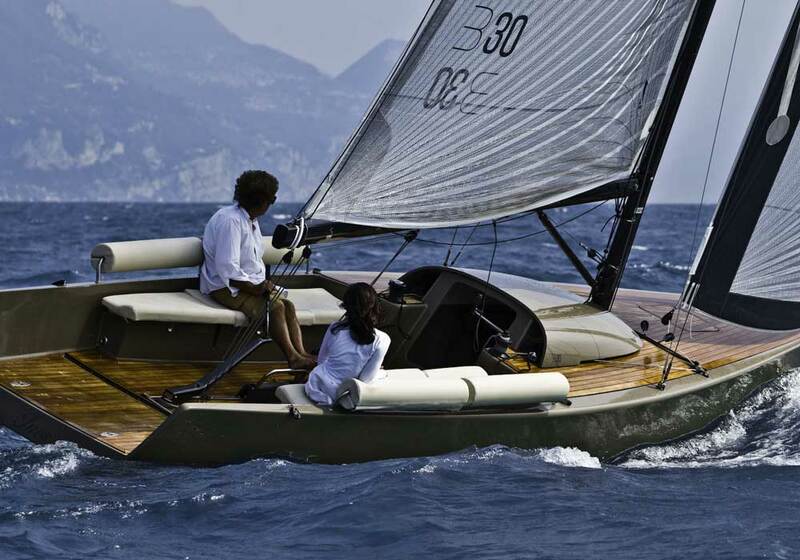 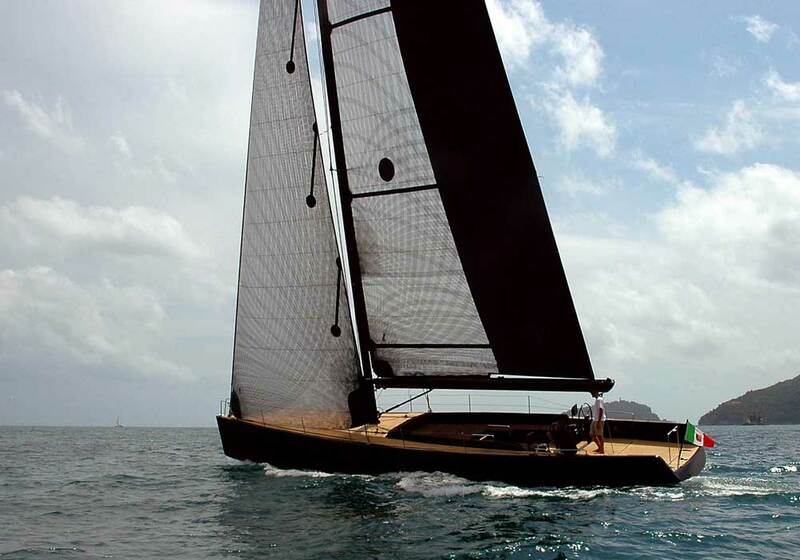 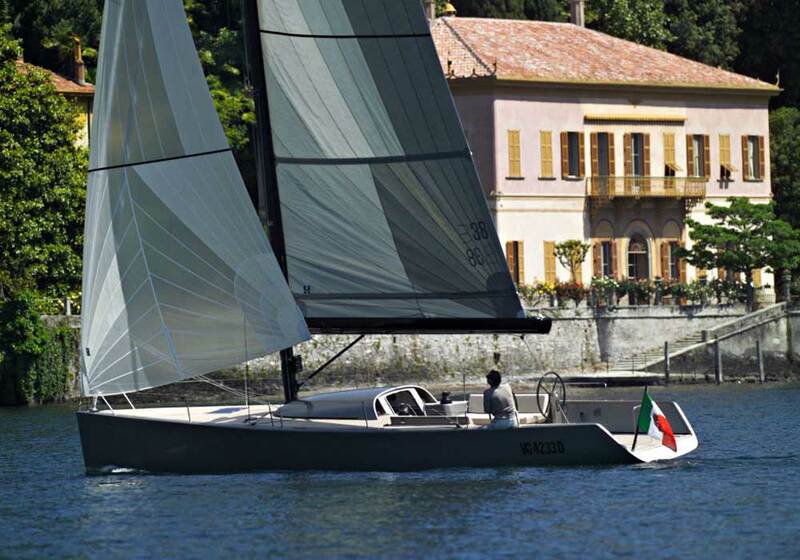 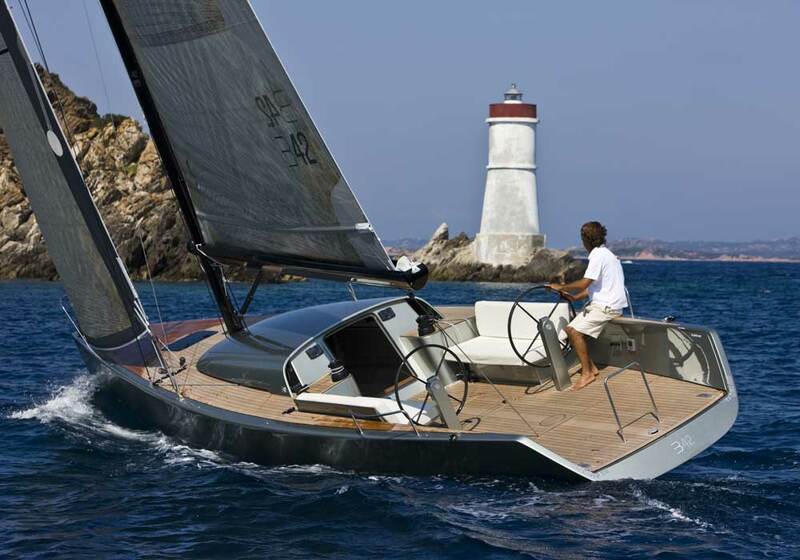 B30 is pure sailing pleasure.Conceived for sailing enthusiasts, she can be sailed single-handedly. 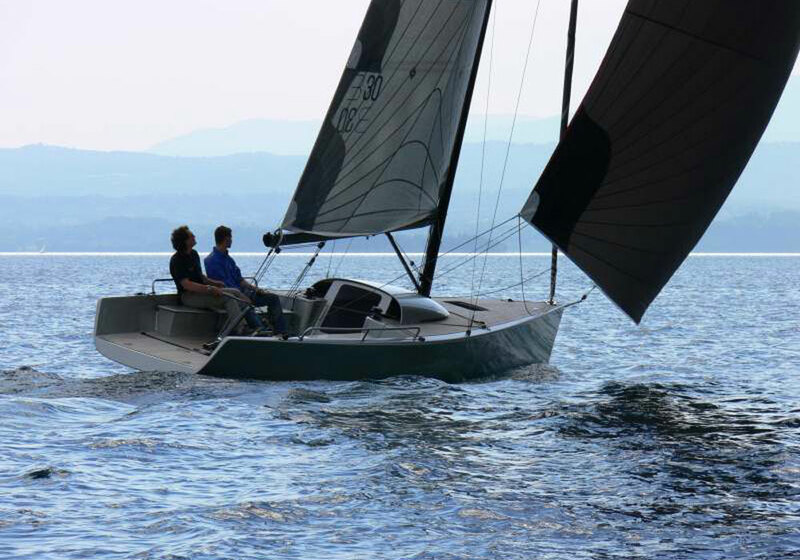 The B30 is a perfect combination of elegance and performance. 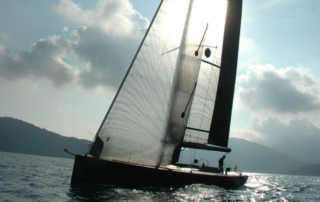 Unlike the B38, all manoeuvres are manual and with the assistance of a self tacking jib, sail handling is pretty easy. The narrow hull, the high weight stability and the low freeboards are somewhat reminiscent of the early twentieth century aesthetic taste, but reinterpreted with contemporary technological standards. 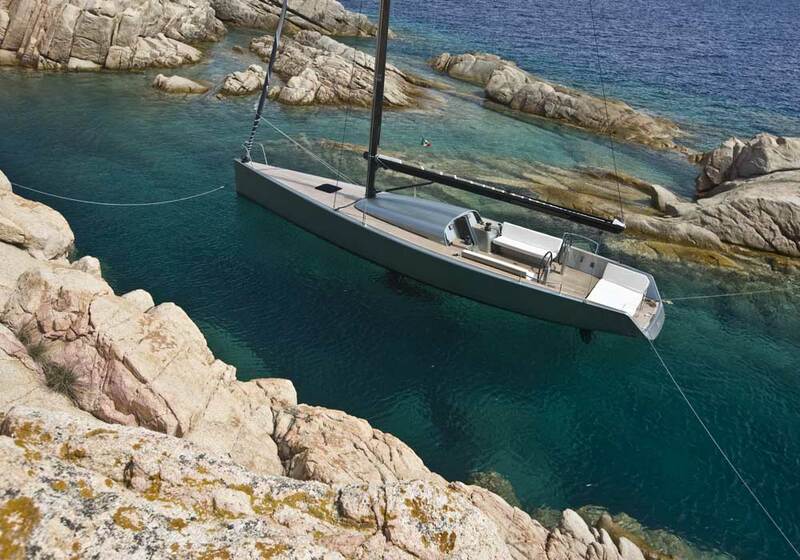 The boat is built in carbon fibre over a sandwich core, using epoxy resin. 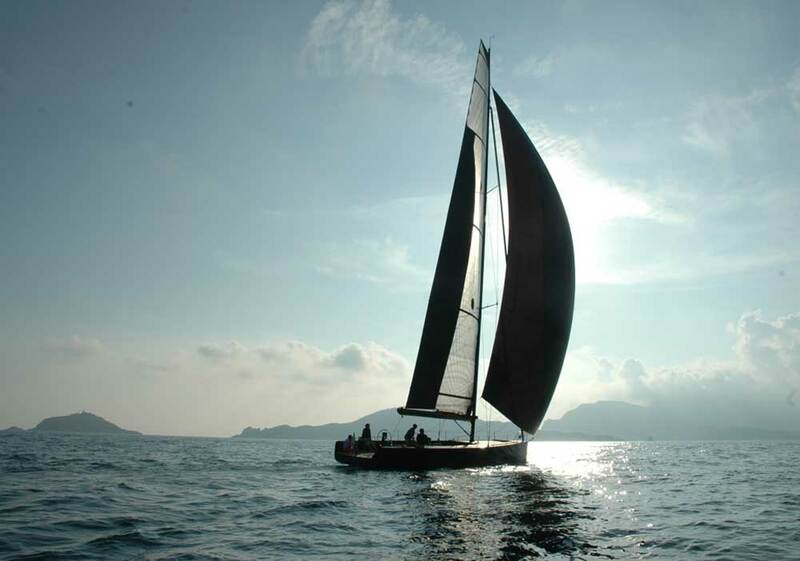 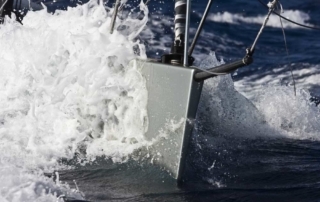 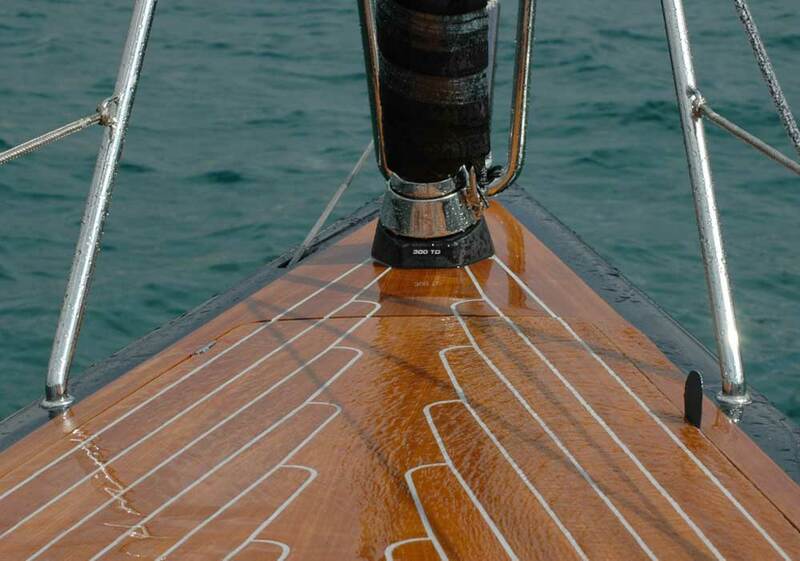 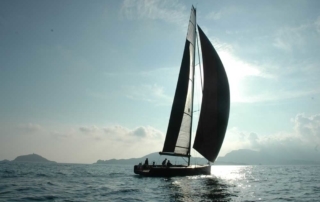 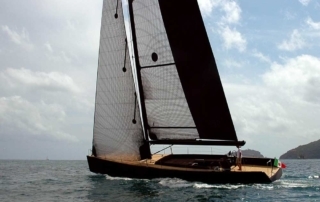 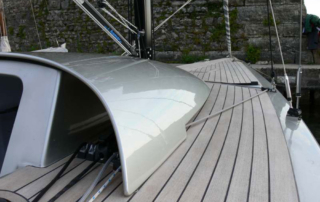 Thank to the low wetted surface with respect to sail area, the huge ballast ratio (more than 60% of the weight is in the keel) and the deep attention and appendages designed to minimize drag, the feelings you experience on board are similar to those of a bigger boat. 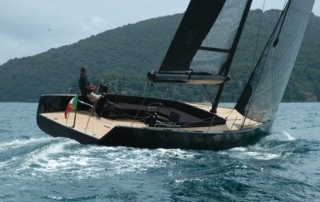 In other words, she is a “small great boat”. 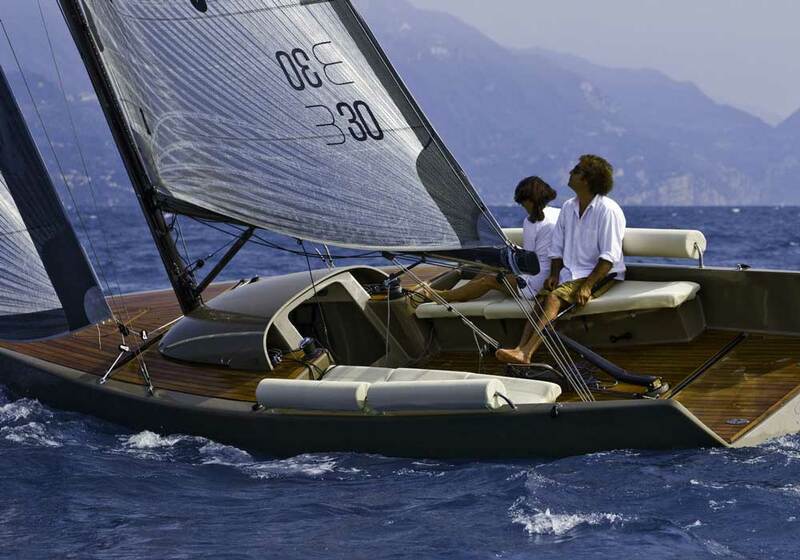 B30 is pure comfort. Comfort both for the sailor and his/her guest is guaranteed by a very generous cockpit arrangement, carved out of a deck in teak wood, with comfortable and attractive seats to allow you to simply enjoy the action and have fun. 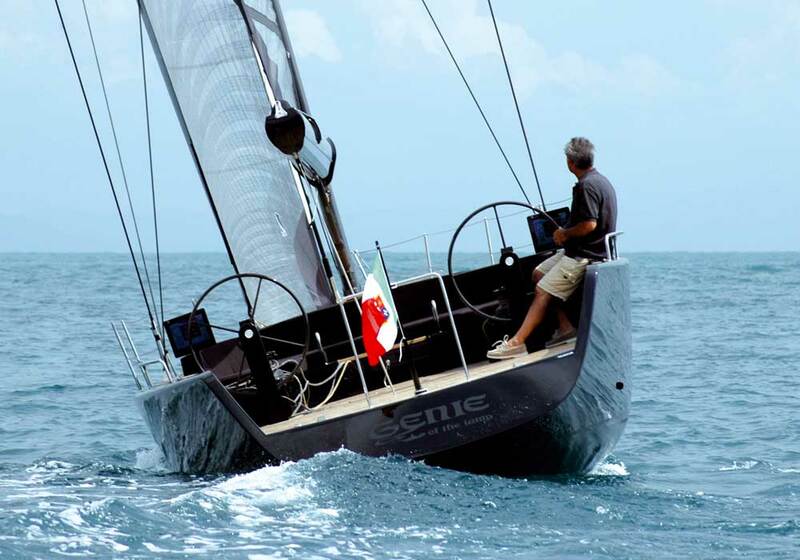 A “true” day sailer. 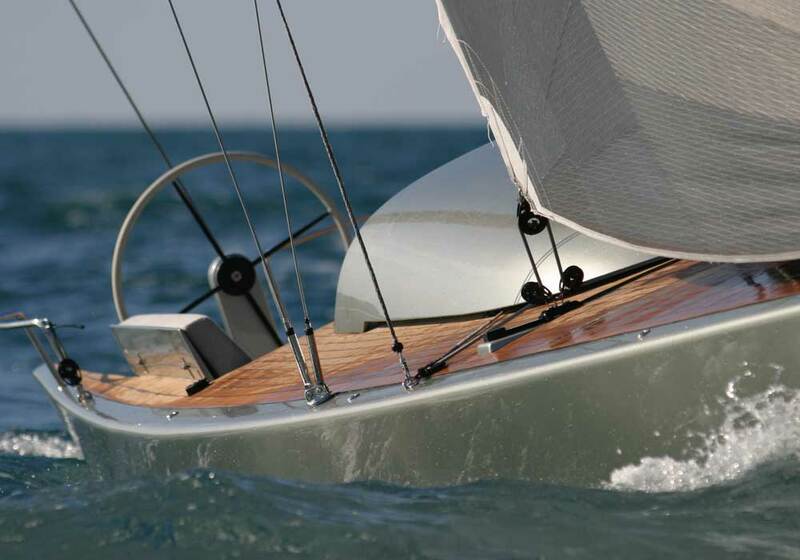 Performance and comfort blended with style. 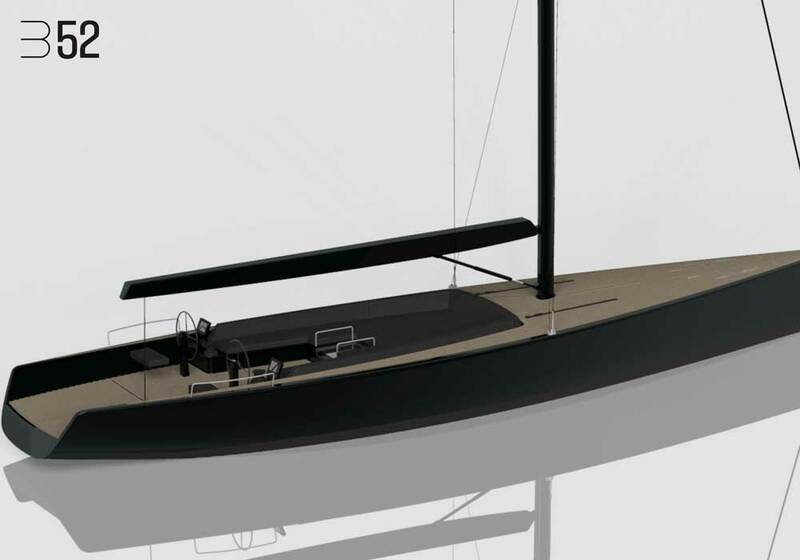 Luca Brenta & Co. have a been working on these concept for several years. 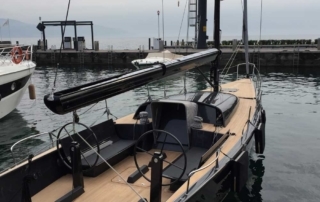 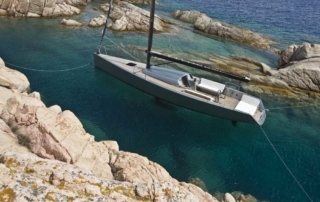 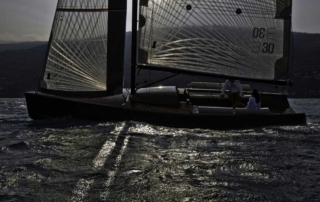 This research together with the production know-how of Adria Sail have led to the creation of a yacht that is both high-performance and fun to sail. 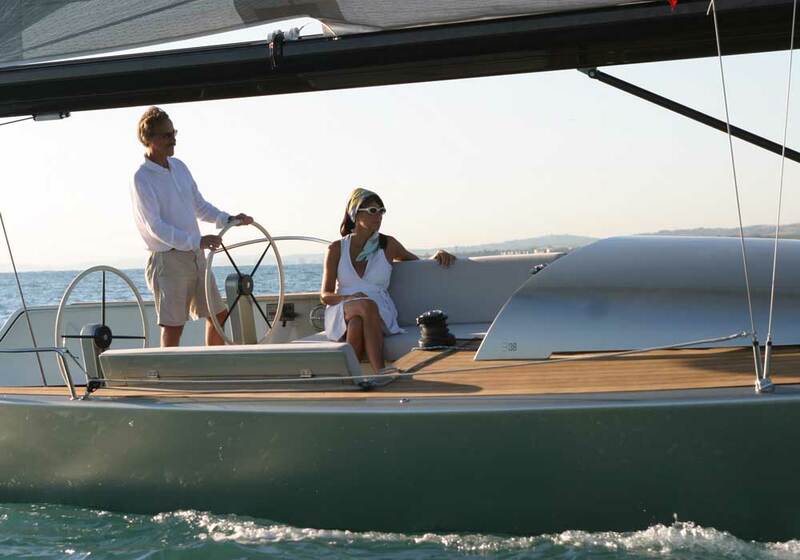 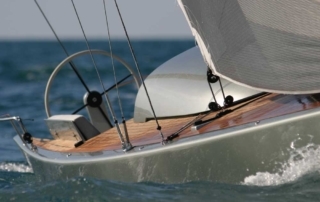 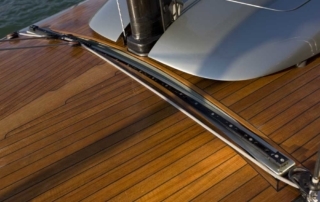 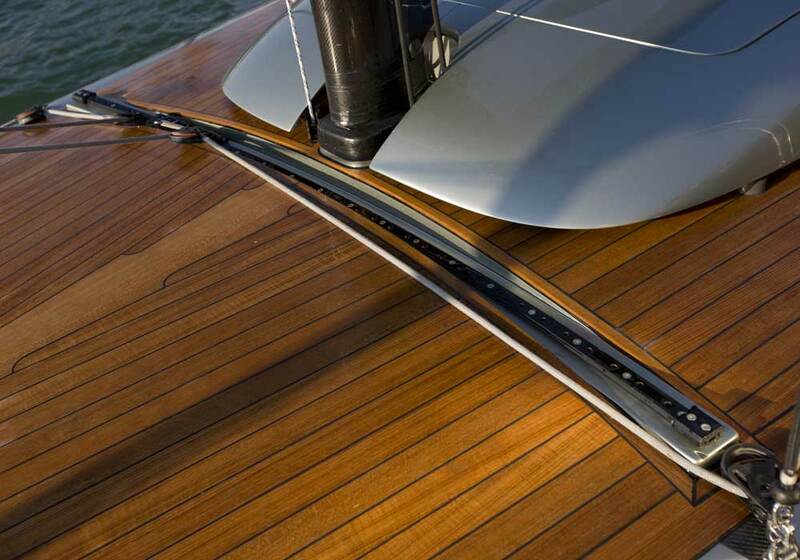 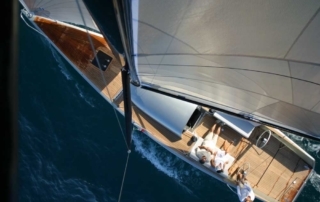 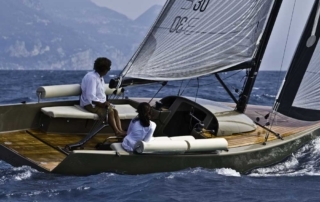 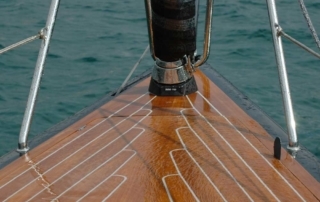 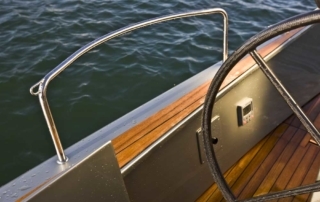 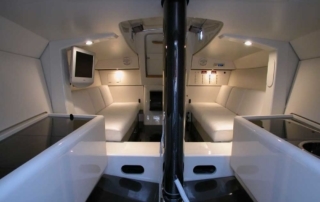 Comfort and ease of use are ensured by an oleodynamic system that makes manoeuvring the boat the simplest of tasks and by a new cockpit layout that sets new standards for sailing yachts comfort. 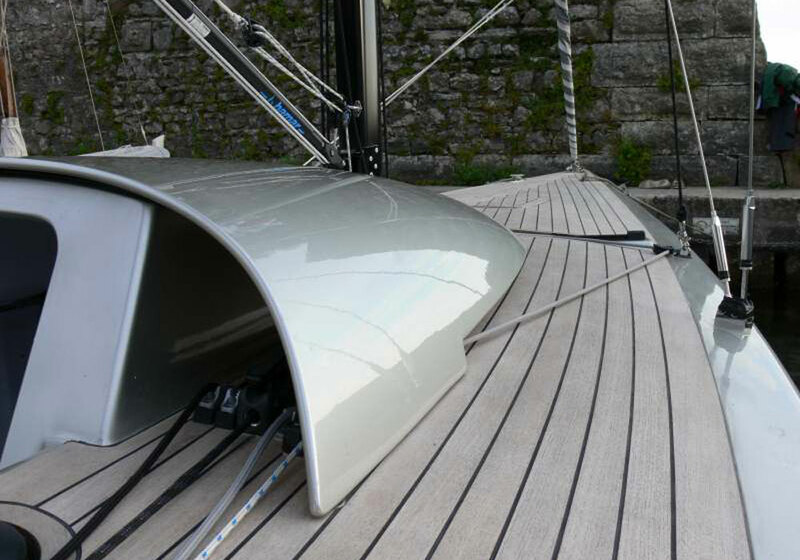 The high ballast ratio guarantees strong stability which, together with the generous sail areas and the composite, carbon fibre construction, all ensure high levels of performance. 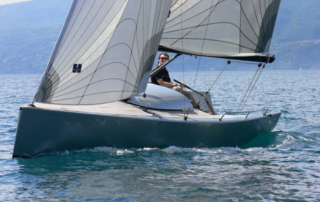 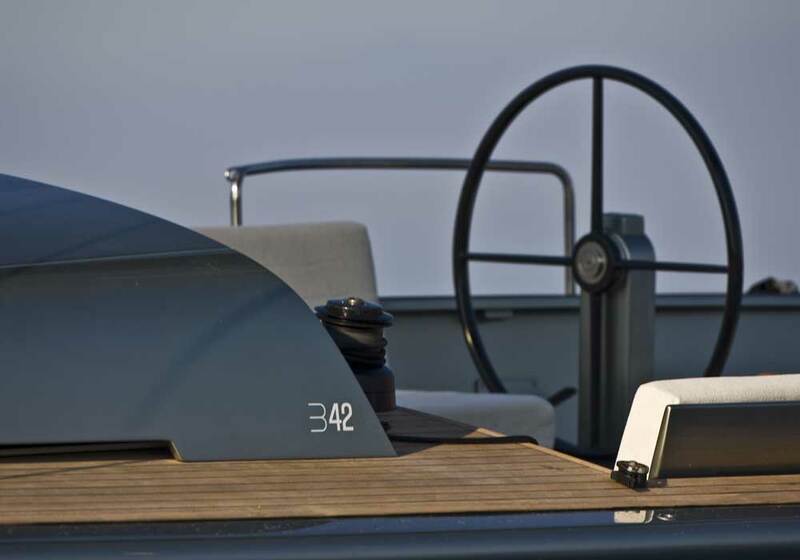 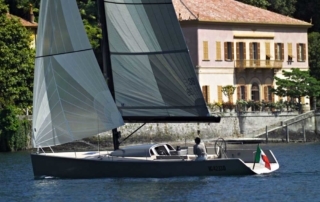 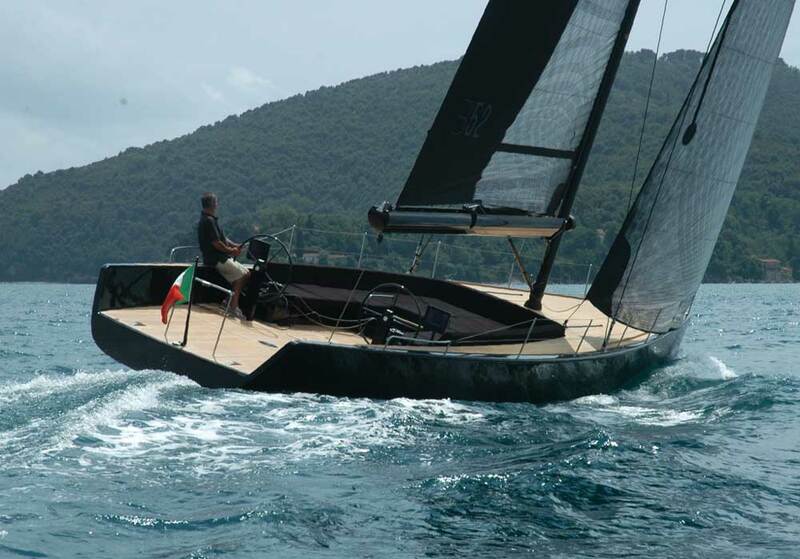 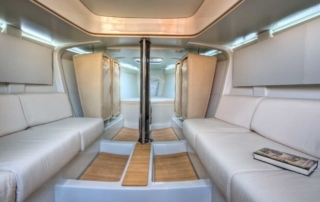 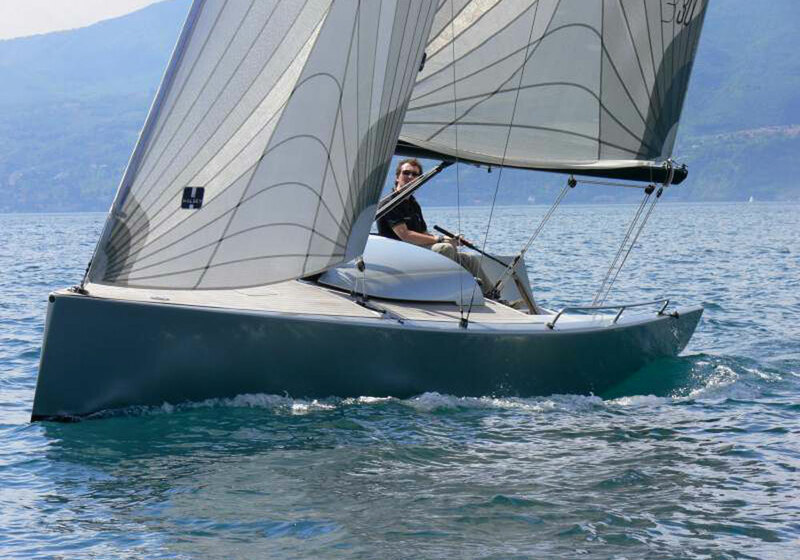 The B42 has been conceived as a 24 hours boat opposed to the 12 hours B38. 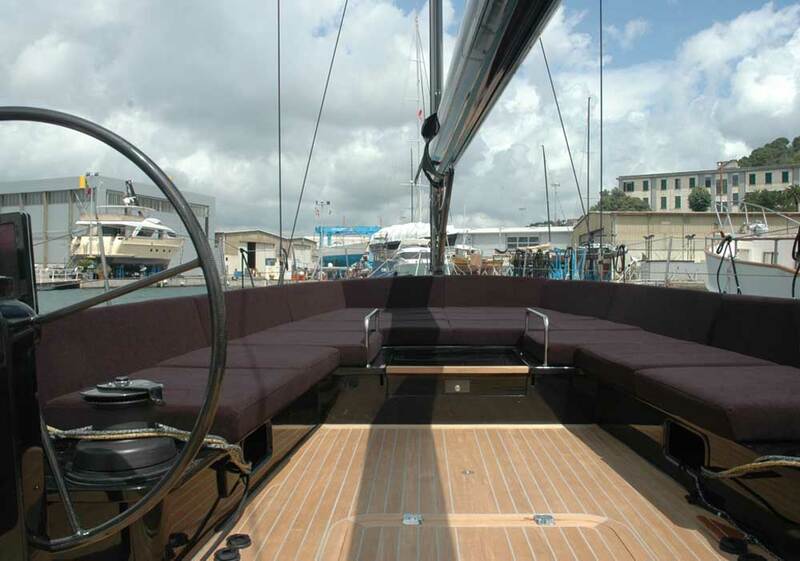 Similar cockpit, running rigging and deck spaces as the B38, and so, its ensure stability and easy to sale. 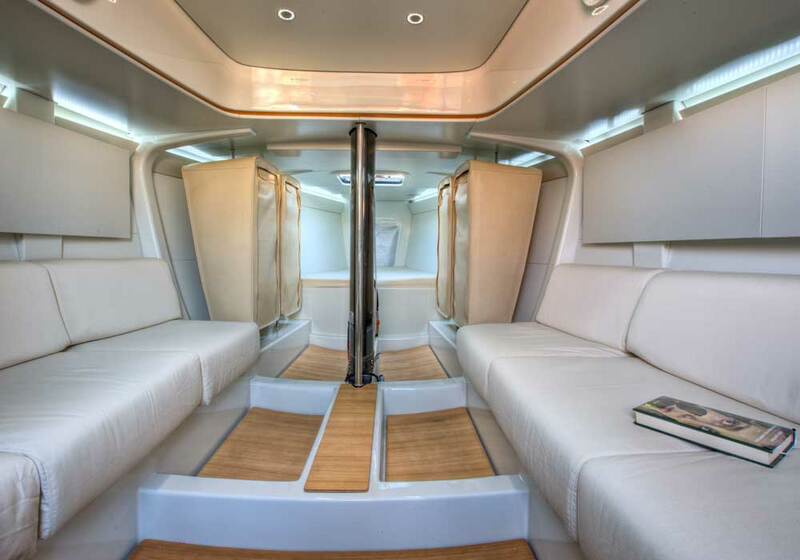 The interiors are changed to be offer more confort and human habitation, but its always follows the general design philosophy of it’s predecessor.